How Will the Internet of Things Impact Marketing? 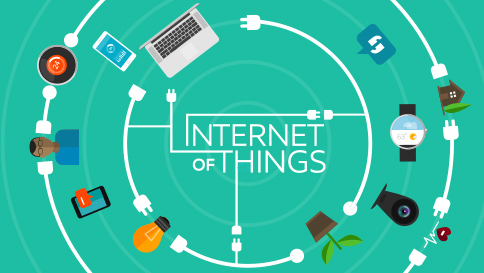 The Internet of Things or IoT is a growing network of everyday objects from industrial machines to consumer goods, that are connected to the internet and can be controlled remotely from your smartphone or tablet. Soon, our cars, our homes, our major appliances and even our city streets will be connected to the Internet. It is predicted that 50 billion Internet of Things devices will be connected by 2020, with emerging IoT technology flooding the market, the IoT will inevitably have an impact on marketing, but just how will it affect the way we manage our marketing campaigns? As the internet of things develops it will make everyday items more intelligent, from cars to light bulbs and fridges to machinery, the IoT will allow these objects to collect and share data. As marketers we rely on data from applications such as Google Analytics to help us to shape marketing campaigns, the IoT will deliver us a wealth of information about our customers from their entertainment preferences to the time they get up in the morning. The more information we know about our customers allows us to understand them better and to be able to market our products and services to them with a targeted marketing campaign, understanding how to use this information in your marketing strategy will be key to maximising the benefit. As household devices become smarter, marketers will need to become smarter and make sure that they are maximising on the benefits of IoT by using real time communication, collecting consumer interaction data and POS notifications. Obtaining this level of data about our customers will allow us to run relevant marketing campaigns, which will lead to increased customer engagement and will ultimately lead to improved user experience. Marketing campaigns will become more targeted, we will not have to assume what our customers want – we will have the data that tells us exactly what they want which will help us build a more detailed customer persona. Through the IoT we will be able to analyse customer’s behaviours, habits and preferences and providing we listen to our customers we will be able to give them what they want and at the time they want it. Having the ability to run targeted marketing campaigns will save valuable time and money spent on running ineffective campaigns and will lead to an increase in conversions, customer engagement and customer satisfaction.